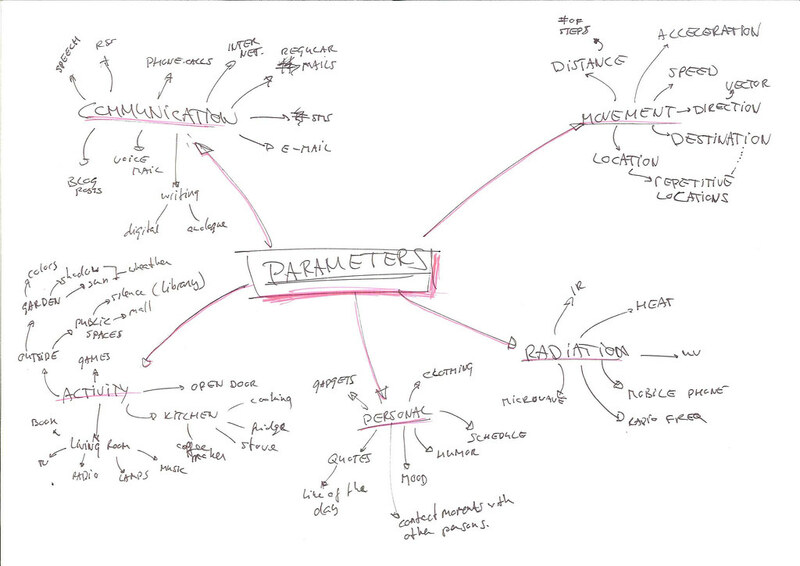 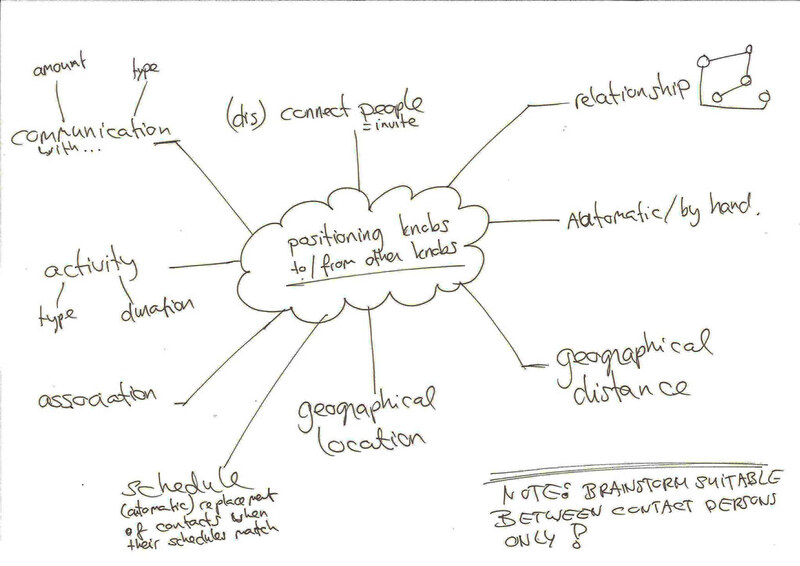 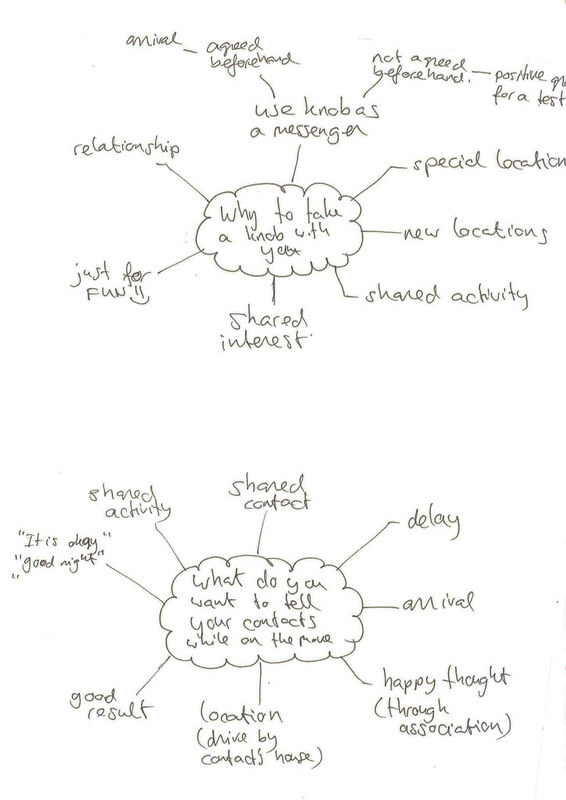 To get a better feeling about what kind of parameters we can use to measure the contact person activity we made a mindmap. 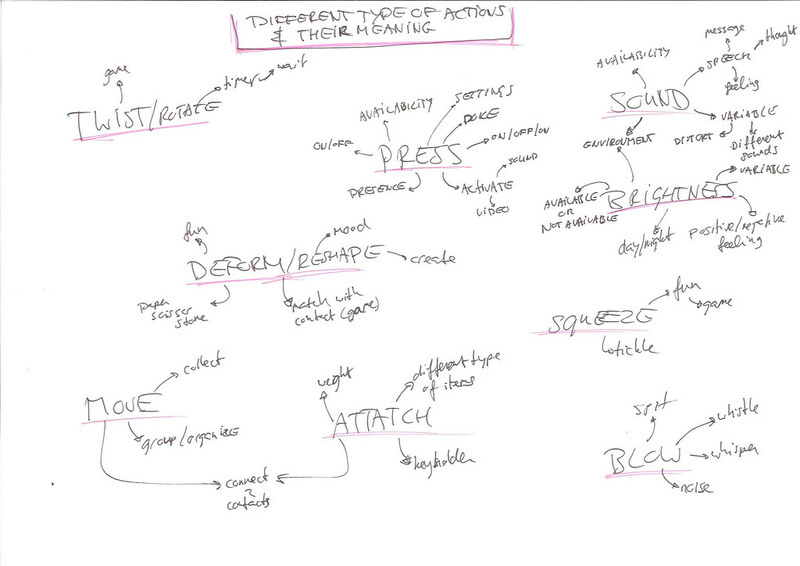 This mindmap gives a good overview of the aspects that the system can measure and visualize for an enhanced feeling of connectedness through KeyPing as an interactive system. 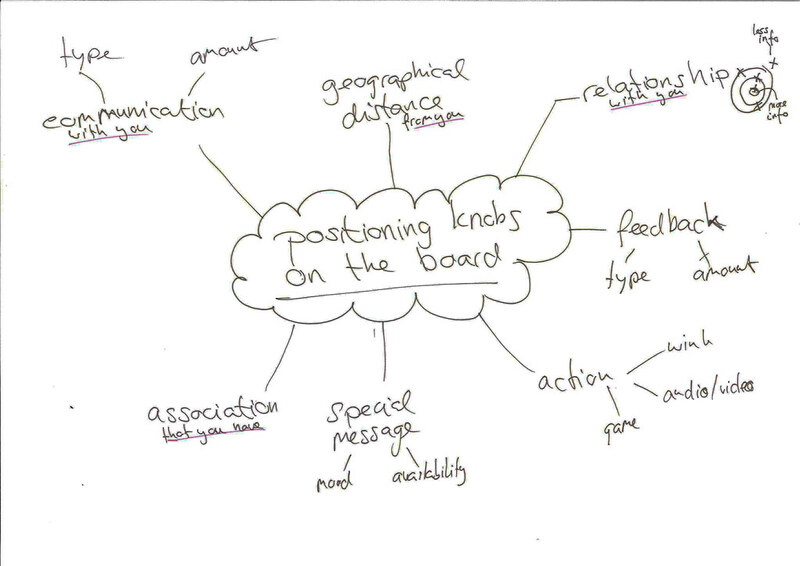 Beside these parameters we also explored the different type of actions a person can make while interacting with the KeyPing board and what these actions could mean for people; how these action can be interpret.